How you store your dog’s carefully-chosen pet food may be just as important as what the diet contains. Improper storage techniques can lead to bacterial infection, contamination and infestation. The following 7 mistakes are made by even the most informed and well-meaning pet owners. Breaking these habits will help ensure that your pup gets the freshest, healthiest food every meal time! 1. Dumping kibble into containers. 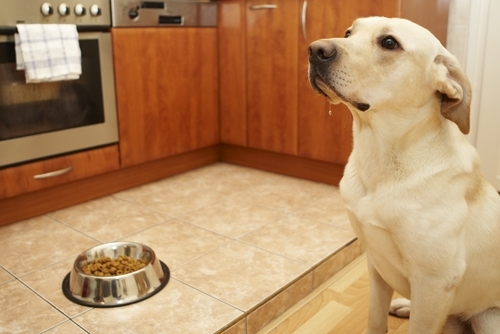 Storage containers are excellent for keeping your dog’s food fresher longer. 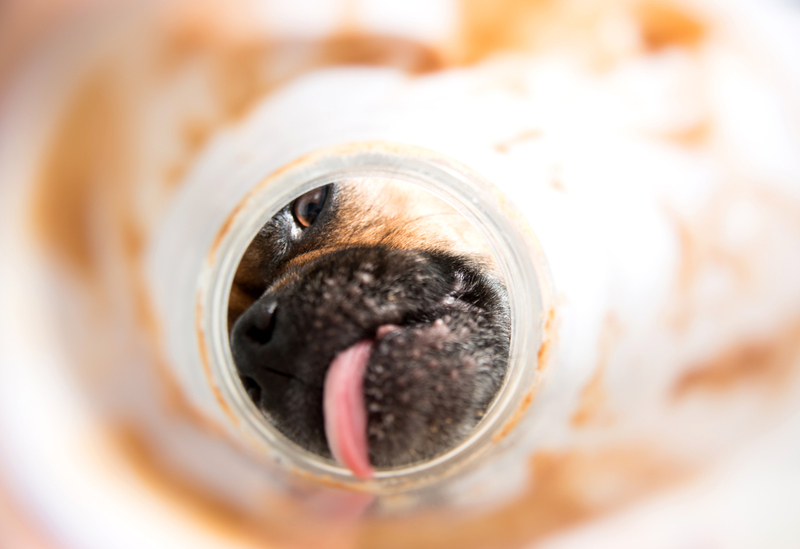 The mistake that many pet parents make is pouring dry food directly into the container. Instead, experts recommend placing the bag itself into the storage bin and scooping out the kibble. Pet foods will retain their best flavor if stored in the original bag, which provides a fat barrier. This also prevents oils from adhering to the container and contaminating the next batch. 2. Leaving pet food unsealed. Exposure to the air causes food to go bad faster and increases the risk of contamination by harmful bacteria. 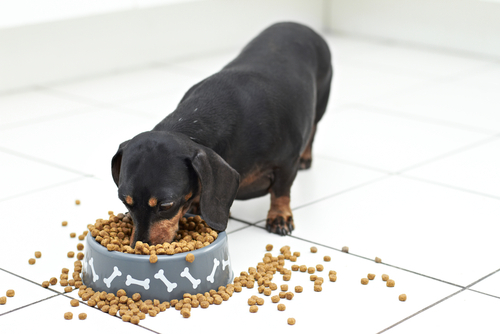 Pet food should be sealed tightly between each feeding. 3. Storing food at high temperatures or humidity. It may seem easier to store that cumbersome bag of dog food in the garage or on the back porch, but weather conditions like humidity can affect food’s freshness and safety. 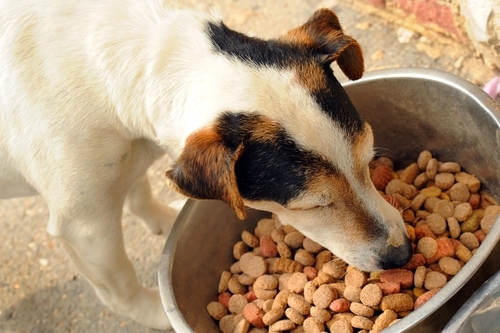 The experts at Hills Pet Nutrition recommend storing dry food and unopened canned food in a cool, dry environment to prevent vitamin loss and rancidity. Also, be sure bugs and animals cannot access the food. 4. Leaving food sitting out too long. 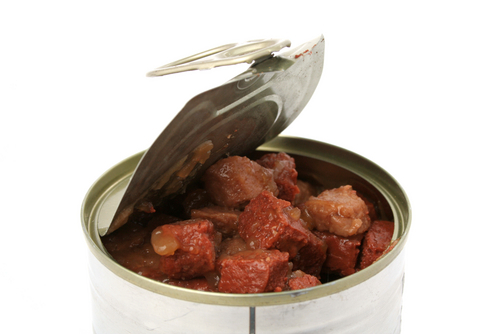 Once opened, canned pet food should not be left un-refrigerated for longer than 2 to 4 hours. How long an open bag of dry food lasts depends on the manufacturer, contact them for this information. 5. 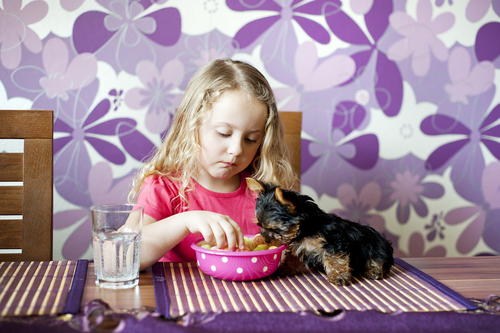 Allowing small children to handle pet food. Let’s face it, small children are not known for having the cleanest hands! While it is great to teach older kids responsibility by having them help out with feedings, younger kids should sit this chore out. They could contaminate your dog or themselves by not washing up before or after handling the food. 6. Using pet food after its expiration date. 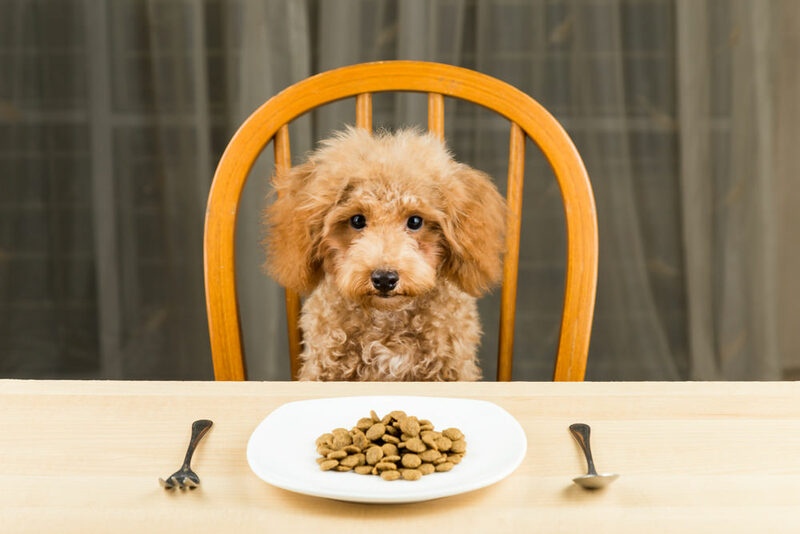 Expiration or “Best By” dates on pet food tell you the date that a particular manufacturer has determined the food no longer provides your pet with proper nutrition, but serious cases of illness from expired food have been reported. Be sure to check the bag or cans before purchasing to ensure that the expiration date is well in the future. 7. Not washing bowls between feedings. 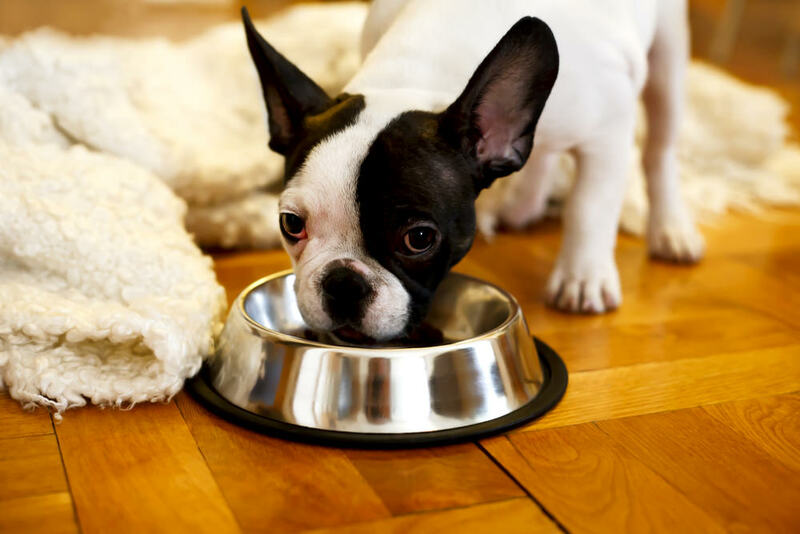 The FDA recommends washing pet food bowls and utensils with dish soap and hot water between every use to prevent infectious agents such as Salmonella. Think about it, would you use the same dishes and cutlery over and over without a wash?